Official Tourism website of Lario and Ceresio is up and we’re on it! We love the area of Lombardy and we chose to rebuild the ancient house and open our holiday apartments in Porlezza for a reason. The area is not just one of the most beautiful in Italy and Europe (and the world! ), but it is full of history, natural gems, trekking and biking trails (just ask Lance Armstrong – he used to come here to train!) and a lot more. It is the perfect place for artists who want to come on a retreat to paint or sculpt or write, for hikers and bikers, for foodies who want to learn about new cuisine and enjoy the culinary delights, for skiers in the winter, wine lovers and couples on romantic getaways. We truly love our little piece of heaven and we want to share that love and that little piece of heaven with the rest of the world. 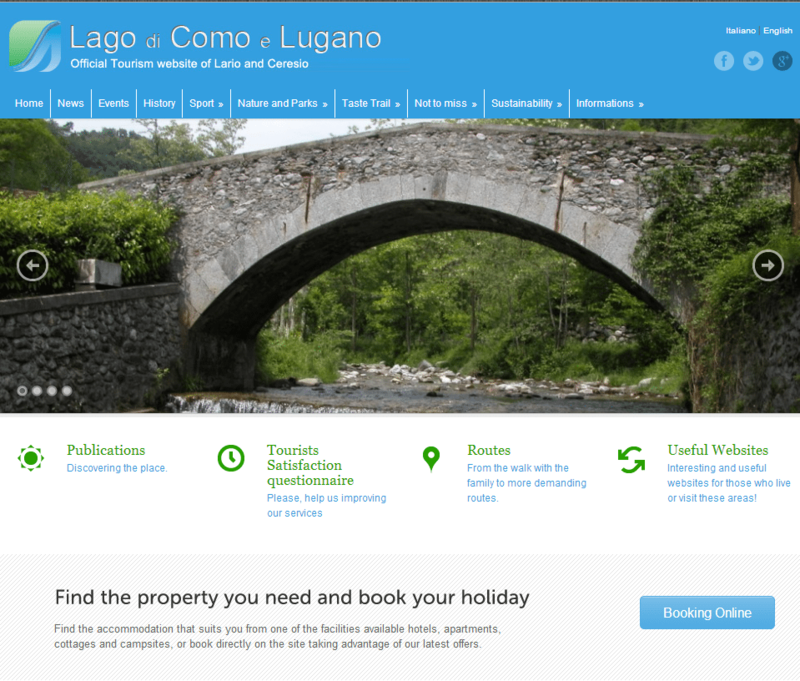 So we’re happy to announce that the official website for the office of tourism in Lario and Ceresio is up and running and our apartments are, of course, listed on it! We invite everyone to visit that website, follow them on Facebook and of course – book your next Italian vacation with us (through there or directly here). Looking forward to seeing you in Italy this season! Ηi to еvery body, it’s my first go to see of this web site; this web site consists of amazing and really good material in support of readers.